Did this summer speed by – or is that just my warped sense of time? Autumn doesn’t officially arrive until next week, but it’s already feeling like it has settled in. While only the middle of September, there’s enough of a threat of frost tonight that I’m going to cover my plants just to be on the safe side. That said, while I’m never in any hurry for winter to arrive, I get pretty excited this time of year. 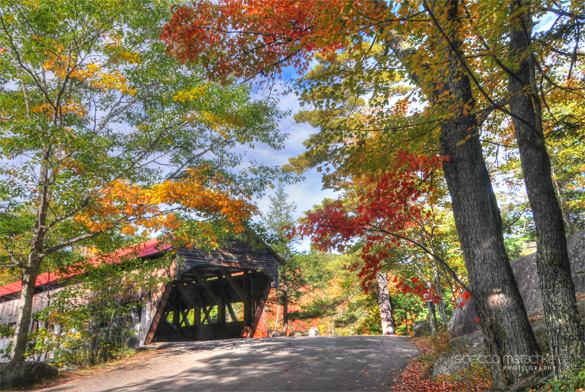 There is nothing like the foliage show in northern New England, and photographing it is something I look forward to. Part of the challenge is mapping out my shot list – which I completed last week. Of course, the list is only a general guideline since the conditions have a huge say in the images I end up making! While the foliage is spectacular here in New England, of course many areas across the country will be painted with lovely color over the course of the next six weeks. Get out there and enjoy it!